Kerstin Bergh Johannesson is a licensed psychologist and a licensed psychotherapist with a university training in psychotherapy supervision and teaching. In 2010 she finished her PhD at the University of Uppsala in Sweden with a thesis on effects of traumatic exposure and traumatic bereavement after disasters. She took her initial training in EMDR 1995 and she became a facilitator and supervisor a few years later. Since 2007 she is an accredited EMDR Europe and EMDR Institute trainer. she mainly trains EMDR in Sweden, but she has also had trainings in the Swedish speaking part of Finland and in Estonia. She was a founding member of EMDR Sweden and served as its first president, a position she held for ten years. She was one of the founding members of EMDR Europe, and she still serves on the Standards and Training committee as one of two co-chairs. For the last four years she has served as one of two vice presidents of EMDR Europe. 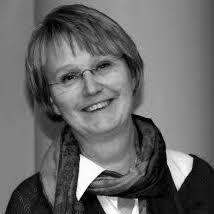 In 2004 she was chair for organizing the European EMDR conference in Stockholm. She has been doing clinical work throughout my clinical career, both within the public psychiatric health care system and in private practise. For the last twelve years she had a position as psychologist and researcher at the Swedish National Center for Disaster Psychiatry (www.katastrofpsykiatri.uu.se), where she served as the director between 2014 and 2016. She is the first author of several scientific articles and she was a co-author of a book in psychotraumatology and in traumatology in addition to other book projects on EMDR and crisis psychology. During eight years she served as a board member of the European Society of Traumatic Stress Studies (ESTSS). During these years she gave numerous presentations on EMDR in different European countries.